A funny and relatable realistic fantasy sure to be enjoyed by farm-dwellers, urbanites, and everyone between. Teens will find this a perfect, modern introduction to Regency novels that portrays confident female role models. An excellent addition to high school libraries. 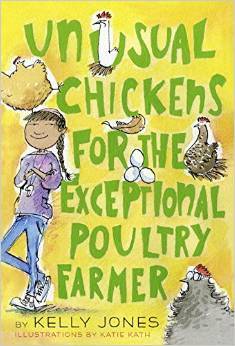 Readers will cheer for Sophie and clamor for more of those amazing chickens. Exceptional, indeed.